Dr. Hong-Wei Wu has come to Copper Point, Wisconsin, after the pressures of a high-powered residency burned him out of his career before he started. Ashamed of letting his family down, he plans to live a quiet life as a surgeon in this tiny town. His plans, however, don’t include his outgoing, kind, and attractive surgical nurse, Simon Lane. The problem is, St. Ann’s has a strict no-dating policy between staff, which means their romance is off the table, unless they bend the rules. But a romance that keeps them in the closet (literally) can’t lead to happy ever after. 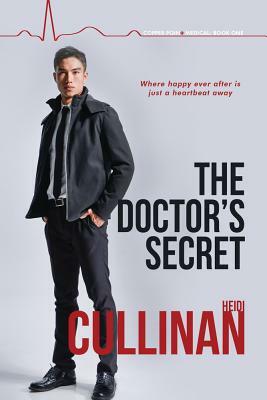 Simon doesn’t want to stay a secret, and Hong-Wei doesn’t want to keep himself removed from life—not anymore. To secure their happiness, they’ll have to change the administration’s mind. But what other secrets will they uncover along the way, about Copper Point and about each other?